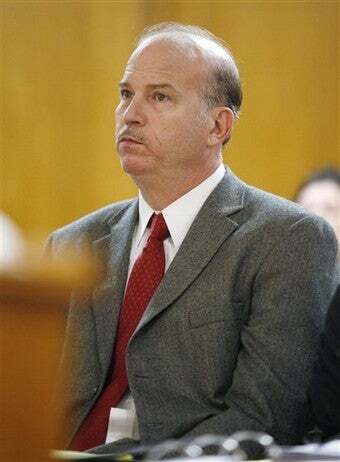 The trial of Dr. George Tiller's assassin Scott Roeder begins in Wichita today, and some anti-choicers still hope to make it a referendum on abortion. They may have help. Monica Davey of the New York Times reminds us that several witnesses saw Roeder shoot Tiller, and that Roeder has confessed to the crime both in jailhouse interviews and in a legal memorandum he gave to judge Warren Wilbert. Wilbert won't allow Roeder to use the necessity defense, which would have argued that his crime was necessary to prevent abortions. The judge may, however, allow Roeder's team to argue that he should be convicted of voluntary manslaughter instead of first-degree murder if he had "an unreasonable but honest belief that circumstances existed that justified deadly force." Can Scott Roeder Really Use The "Necessity Defense?" Katherine Spillar, executive vice president of the Feminist Majority Foundation, argues that this defense would "embolden anti-abortion extremists and could result in ‘open season' on doctors across the country." And to argue that "an unreasonable belief" is grounds for a lighter sentence certainly seems to send a strange legal message — many murderers probably believe they are justified in some way, and Roeder's defense, if successful, might set a precedent of lesser punishments for all of them. In the specific matter of abortion, a voluntary manslaughter verdict would almost certainly lend encouragement to those — like abortion foe Regina Dinwiddie — who support a "Defensive Action Statement," or public claim that violence against abortion doctors is justified. More mainstream anti-choicers like Troy Newman of Operation Rescue have distanced themselves from Roeder, but Dinwiddie isn't the only one who supports him, and his conviction on a lesser charge would send the message that their views were, at least in some way, valid. More disturbingly, such a conviction would essentially allow Roeder and other murderers to determine their own sentences simply by stating their beliefs. Simply thinking an act is justified shouldn't make it so in the eyes of the law, or the law becomes completely relativist, and vulnerable to men like Roeder who think their convictions are more important than a man's life.